LUMOS CANDLE is the easiest and most convenient candle in the world. This is because the candle is lit when the button is pressed. No need to worry about lighters anymore! LUMOS CANDLE is a magical candle that lights a fire at the push of a button. No more stress, enjoy candles more safely and conveniently. LUMOS CANDLE made of soy wax and wooden wicks. 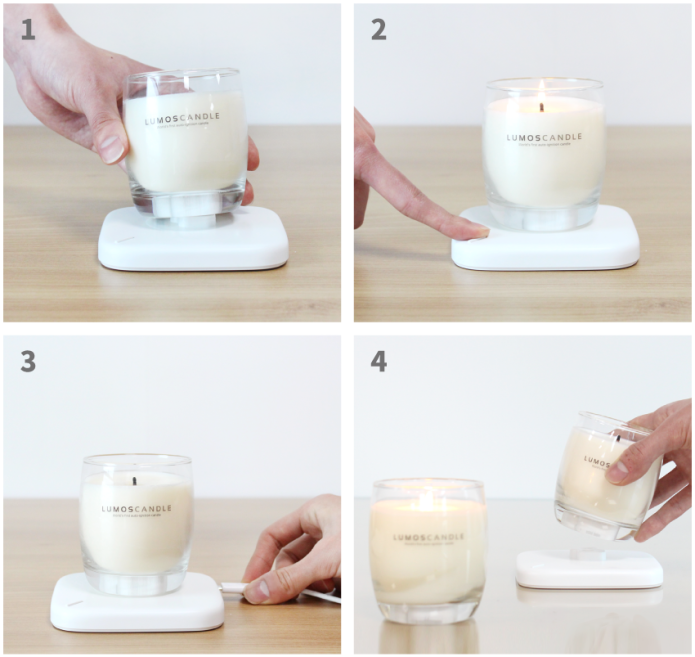 Experience the incredible auto-ignition of the world's first "real candle"! Existing candles cannot be used without a lighter. People often experience the danger and discomfort of using a hand tool while using a lighter or a match. 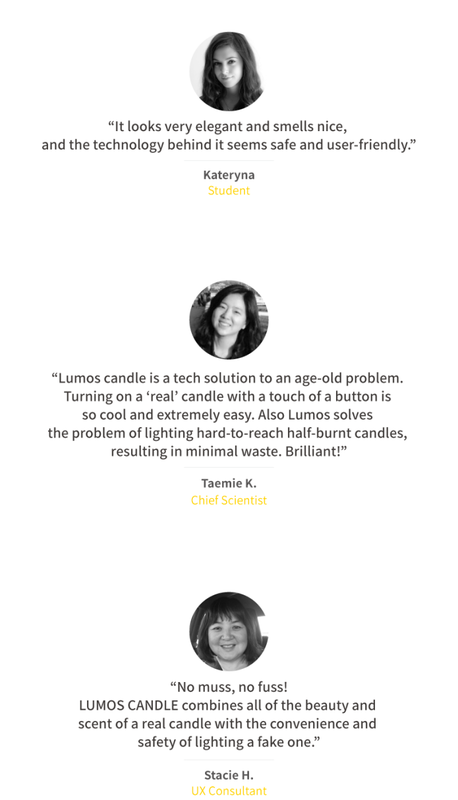 On the other hand, LUMOS CANDLE is lit as soon as the button is pressed. When you use a candle for a long time, the wick gets deeper. When this happens, it is difficult to use an ignition tool to light the candle. But LUMOS CANDLE can be lit easily by pressing the button. LUMOS CANDLE can be easily and conveniently enjoyed by those who feel uncomfortable and difficult to use a lighter because it is lit by pressing the button on the pad without using an ignition tool. 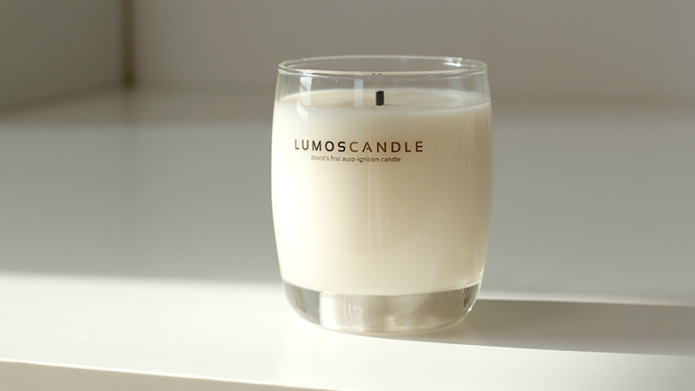 LUMOS CANDLE is a handmade soy candle without using paraffin. All products are made of high quality soy wax made in USA and selected premium fragrance oil. When the lighter gas is gone, you have to go to the market and buy a new one. 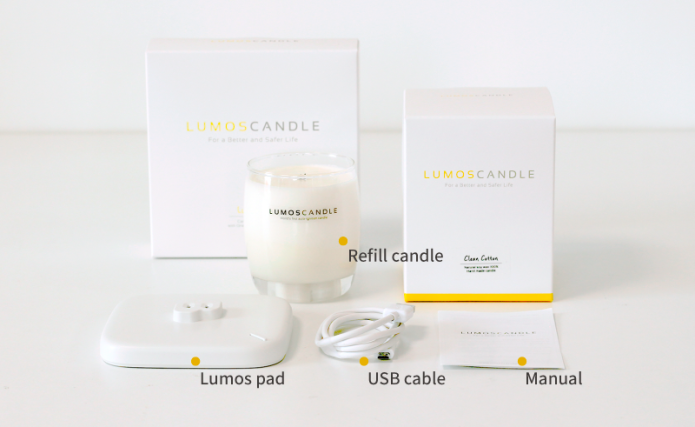 But LUMOS CANDLE have built-in rechargeable batteries that can be easily charged by five-pin USB chargers. Once fully charged, it can be used for more than four months if you use about 4 times a day. It is also useful for outdoor use due to its long usage time. If the candle is used up or if you want to change the scent, simply replace the refill candle right away. Try different scents depending on your mood. 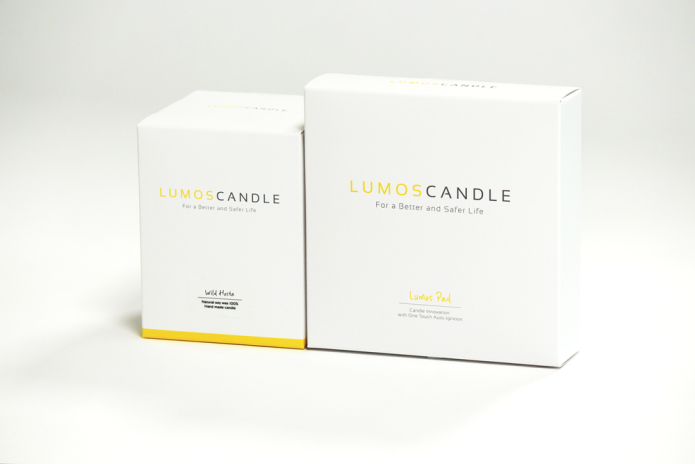 LUMOS CANDLE is designed as a form of pad to minimize influence of shaking. The refill candle is fit into the pad stably so that it is safe for rocking. Try putting LUMOS CANDLE in different places from kitchen to the bedroom. It is perfect as an interior accessory. 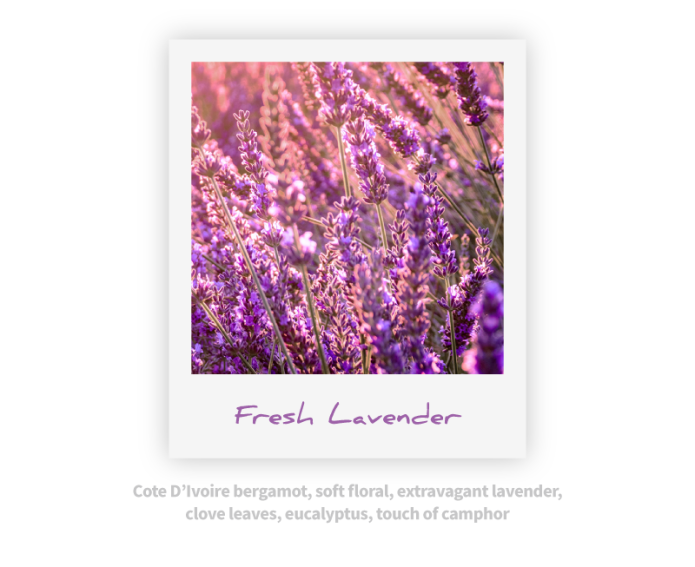 The smell of Lavender is calm and clean, making you feel comfortable. The scent is soft so that anyone can enjoy it. 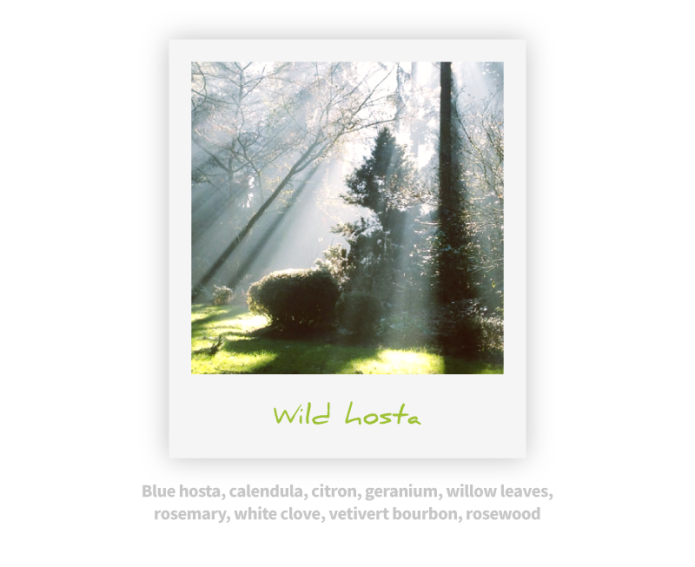 Like a fragrance of the garden with early morning dew, you can feel the cool scent of nature. It is a refreshing fragrance spreading gently. 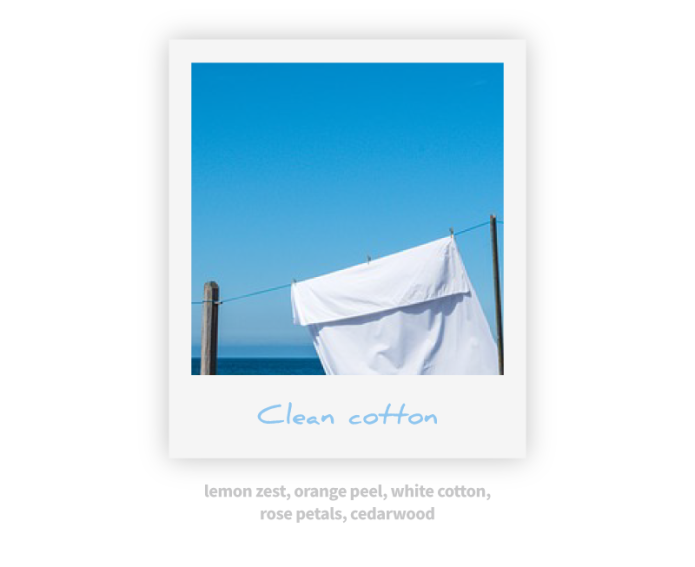 It is as clean and refreshing as when you take in the laundry that is placed on a sunny day. It is a fragrance that gives the impression of a peach bite. 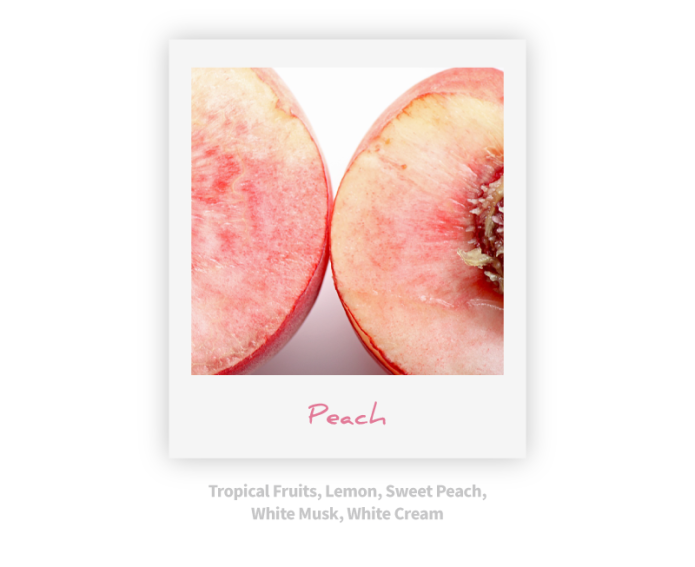 It is a fresh peach scent that anyone can enjoy. 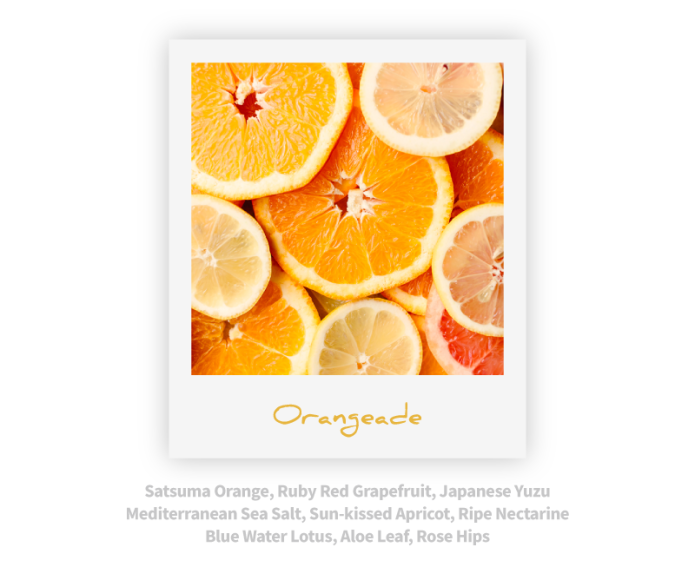 It is a refreshing scent that feels ripe fresh oranges and warm sunshine. The sweet smell spreads and gives a pleasant feeling, it boosts the energy of stuffy space. Fitting the refill candle to the Lumos pad properly. When the pad's battery is low, you can charge it easily with a mobile phone charger. If the candle is used up or if you want to change the scent, simply replace the refill candle. 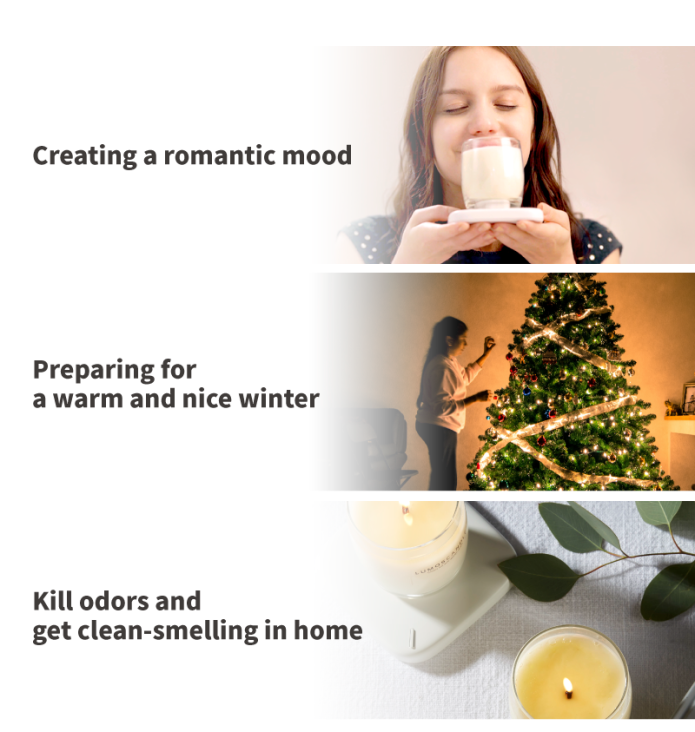 Try different scent depending on your mood. Many people love candles, but many people feel uncomfortable using them. We considered how to resolve the inconvenience. We thought candles should be changed. We decided we needed to change candles, and we decided to make a candle that would make it comfortable and safe for people to use. Q What is LUMOS CANDLE? LUMOS CANDLE is a magical candle that it is lighted when you just push its button. Q How is it different from the existing candles? Existing candles cannot be used without a lighter tool. People often experience the danger and discomfort of using a hand tool while using an ignition tool. On the other hand, LUMOS CANDLE can be easily and conveniently enjoyed by those who feel uncomfortable and difficult to use the lighter because it is lit by pressing the button on the pad without using the ignition tool. A lighter is a consumable item, but the LUMOS PAD can be used semi-permanently with a built-in rechargeable battery. Q How does LUMOS CANDLE work? It uses the principle of electric discharge to ignite on the wick. If you press the button of the pad after fitting the refill candle to the LUMOS PAD properly, the refill candle wick is immediately lit. Q Are other candles sold on the market compatible? Only the refill candle of LUMOS CANDLE can be used. Q How long does it take to use a refill candle? Q How do I replace the refill candle? 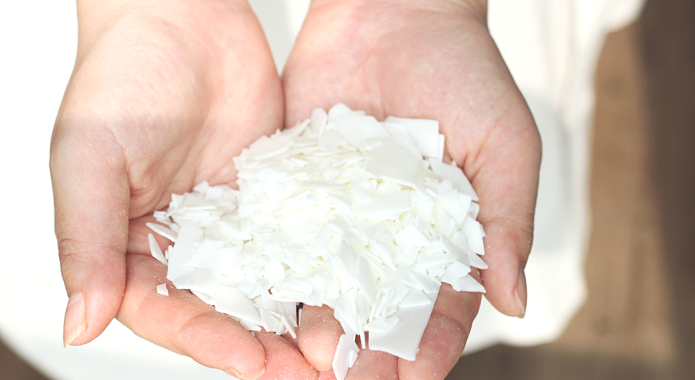 The refill candle can be easily inserted and removed from the pad. If you have used up your candle or want to use a different fragrance, you can remove the existing refill candle and place a new refill candle on the pad, then you can use it right away. Q Do I need the LUMOS PAD? Yes, you need to place a refill candle on the LUMOS PAD to experience the auto-ignition function. 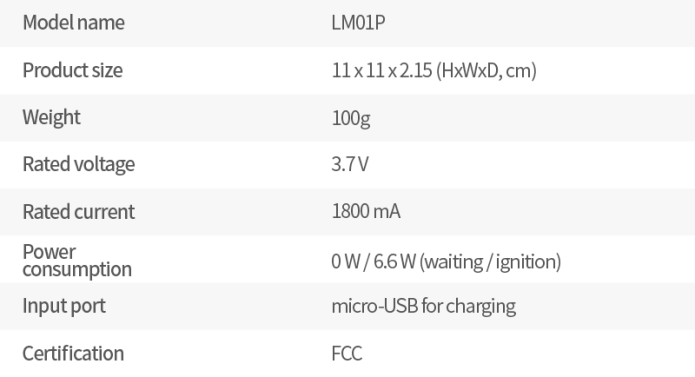 Q How long is the battery life of the LUMOS PAD? Q How do I charge my LUMOS PAD? You can charge it easily with a mobile phone micro USB(5 pin) charger. Q Is the LUMOS PAD waterproof? Because there is no waterproof function, putting it in a wet shower room may cause malfunction. Do not allow water or other liquids to flow into the pad.